Early in the morning start trekking (7 Km) to reach “HEMKUND SAHIB”. One of the most revered of all Sikh Shrines, The Hemkund Sahib, the Worlds Highest Gurudwara, is situated at an altitude of 4,329 mts. In the afternoon trek down to reach Ghangariya for overnight stay. Evening is free for rest & relaxation. Today is the day when you really enjoy your happiest day of life. Today we trek to the God's own land The Valley of Flowers. The whole valley is dotted with varieties of exotic flowers and other flora. Here you explore an incredible range of Flora and Fauna. After viewing the mysterious land - The Valley of flowers, return to Ghangria for overnight stay. Today morning after breakfast return trek to Govindghat 14 Km . 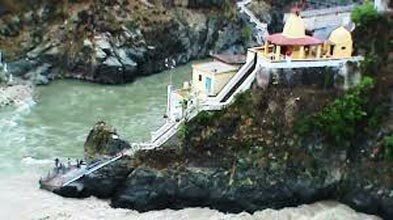 Reach Govindghat and then drive to Rudraprayag via Joshimath and Karnaprayag. On arrival, check into hotel. 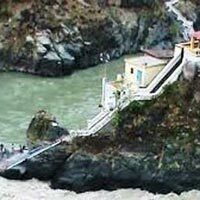 At the confluence of Mandikini and Alaknanda river, Rudraprayag is a Famous Hindu Pilgrimage centre. Today Morning after breakfast go for sightseeng at Rudrapryag, afternoon back drive to Rishikesh. On arrival at Rishikesh transfer to camp. evening free to leisure. over night stay at camp. Morning After breakfast chek out from camp and drive back to Delhi. Arrival Delhi and transfer to Airport for your respective destinations. Tour terminate.